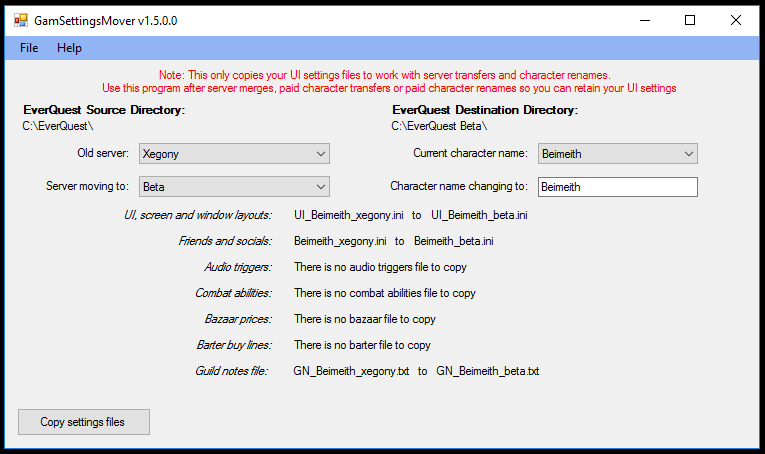 GamSettingsMover is a tool to simplfy copying and/or updating your EQ settings files. It can be used after a server merge, character rename or server transfer to quickly and painlessly update all of your settings files to the proper name/server. You can even use it when starting on a new server or with a new character that you want to use familiar settings. Configurable destination directory to copy into different locations for multi-install setups.